Whether you're serving hot or cold foods, this Cambro 90SPCW110 Camwear 13.5 oz. 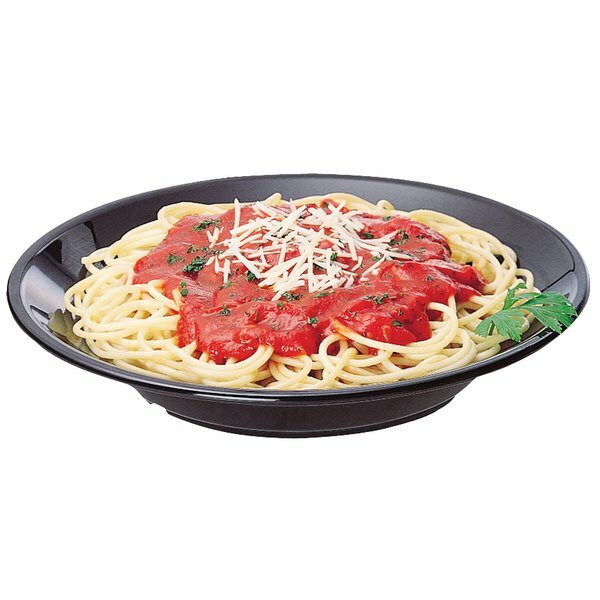 black polycarbonate round soup / pasta bowl is sure to stand up to the daily rigors of a busy day in your foodservice operation. The perfect choice for serving soups and pasta dishes, this bowl is designed for superior stability on serving trays, making it a long-lasting, reliable choice for nursing homes, hospitals, daycares, and assisted living facilities. Not just for the healthcare industry, the entire line of Camwear dinnerware is right at home in any high volume establishment, like cafeterias and buffets, thanks to its high level of durability and scratch resistance.